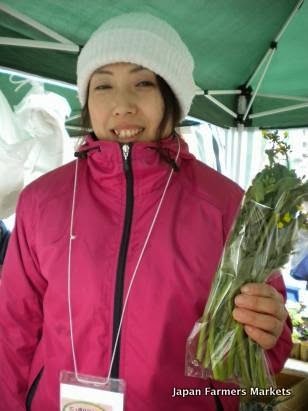 Kimura-san keeping cheerful even on a chilly day at the Nippori Farmers Market. March is in full swing and this weekend promises to be a hopping one for farmers markets fans in the Tokyo and Yokohama regions. Don't miss the good fun at Ebisu, Oiso, or Kamakura as well as the usual round of weekly ones. There's plenty of good food to be had, so don't be shy!